Festival season is here and we're giving away a $500 AmuseSociety.com shopping spree along with a pair of Matisse "Caty" boots featured in our "Dazed & Amused" lookbook. Also included is an exclusive Amuse Society "Dazed & Amused" tote bag filled with Joico beauty products. Contest ends on April 7, 2016. One (1) lucky winner will be selected on April 8, 2016 and notified via email. We're giving away a $500 Amuse Society wardrobe for the new year. Take advantage of your time out of the office and enter for a chance to win! Contest ends on January 3, 2016. One (1) lucky winner will be selected on January 4, 2016 and notified via email. 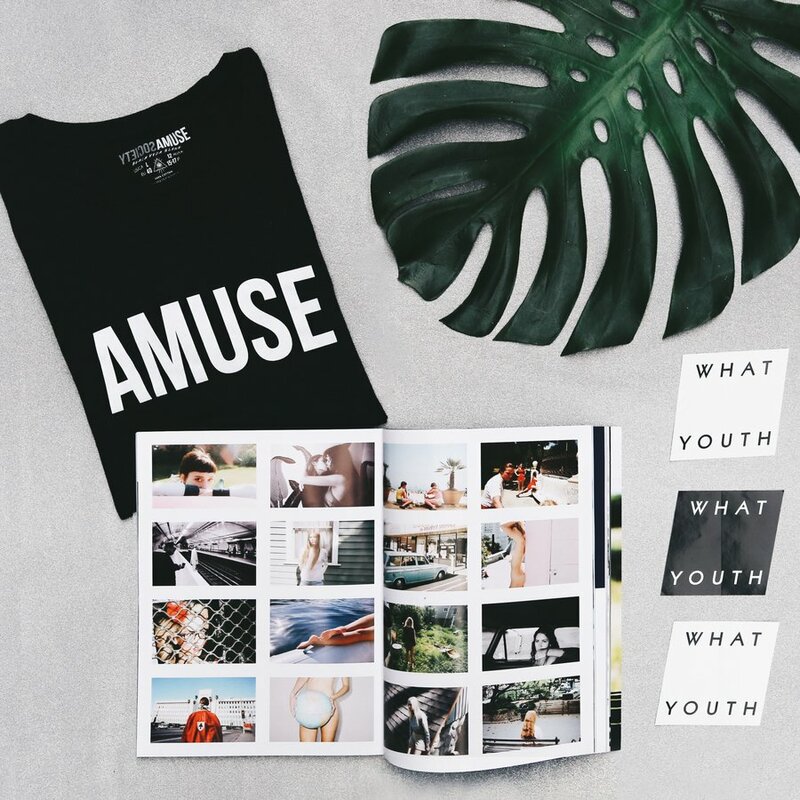 In celebration of our Holiday '15 collection featuring our limited edition Amuse x What Youth collaboration tees, we're giving away a $500 AmuseSociety.com shopping spree, our WY x Amuse Tank and WY Glimpse Boyfriend Tee, a one-year subscription to What Youth magazine, and more! Contest starts 9/21 through 10/11. One (1) grand prize winner will be announced on 10/12.